June | 2011 | PressBe The Blog. Advertising firm GroupM revealed a few weeks ago that it had adopted a new anti-piracy policy. It constructed a list of websites that it deemed to be either in support of piracy, or directly offering illegal downloads. The list of sites eventually got into the hands of the media and there are some bizarre listings on it. A few weeks ago, leading ad firm GroupM, a part of marketing giant WPP, proudly announced that it had “adopted an aggressive new anti-piracy policy” for its digital media buys. What that meant was that it prohibited vendors that it worked with from putting ads on any of a giant list of sites that it had declared were “pirate sites” — defined as “sites that support piracy or contain any illegally distributed content.” That’s pretty broad. In fact, TorrentFreak got their hands on the list and noted many rather bizarre entries, including the Internet Archive (archive.org) and BitTorrent’s corporate page — neither of which have anything to do with “piracy” at all. There are some other shockers on the list, including the popular web video site/YouTube alternative, Vimeo, which is about as far from a “pirate” site as you can find. Stunningly, there’s also SoundCloud, which has become one of the most popular tools for musicians to promote their own music these days. That’s the site where the Beastie Boys streamed their latest album. A pirate site? Are they crazy? You can see the full list embedded below. GroupM’s own content producing clients — such as Warner Bros, Paramount, Universal Music and Summit Entertainment, which produced the popular Twilight series of vampire movies — have shared their own lists of pirate websites to help create a master copy. While I don’t know which of those companies may be responsible for some of the other headscratchers on the list, the attack on hip hop sites is being pinned squarely on Universal Music by many of the sites involved, and they’re not happy. Among those on the list, for example, is Vibe.com, the online site for Vibe Magazine, founded by Quincy Jones of all people, and still considered one of the key sources for news and information about the hip hop and R&B worlds. And yet it’s on the list as a pirate site? Really? After months of speculation, Shawty Lo reveals that the ink is dry and he’s taking his talents to the house that 50 built. I can believe this but I sort of can’t believe that Karrine Steffans aka “Superhead” had the nerve to pull the publicity stunt craving, thirsty, trick of the decade. Now I aint saying she’s a gold digga but ummm you can come to your own conclusion. After years of highly-sexualized stories of her alleged escapades with top hip hop and rap artists where made popular in her book Confessions of a Video Vixen, author and model Karrine Steffans is now saying that her tales of passions were fabricated. 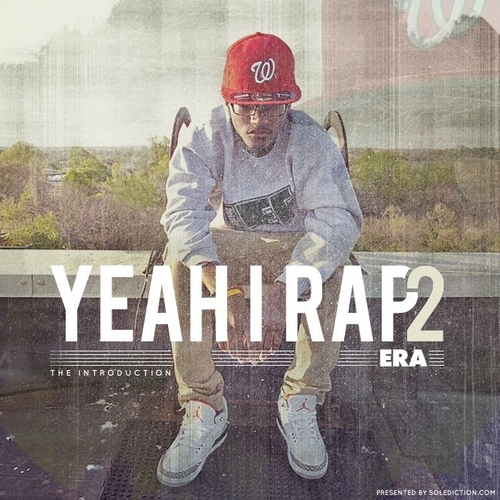 New Mixtape: Era Hardaway – Yea I Rap pt 2 !! !